The Annapurna Circuit: Everything you need to know in one simple blog! In this blog you will learn everything you need to know about the classic trek the Annapurna Circuit. So that you are totally ready for this breathtaking experience! We give you tips, advice and essential basic information to make your Annapurna Circuit trek in Nepal a positive experience. We won’t go into depth why you should do the famous Annapurna Circuit. The pictures speak for themselves. Ok, a little bit of explanation then. So what is the magic of the Annapurna Circuit? The track brings you around the massive Annapurna Mountain Range in on average two weeks. From different perspectives you will enjoy the view of the 8000+ meter white giants. You will trek through local life and cute little villages. The landscapes along the Annapurna trek are very diverse. Like being in two different worlds before and after the Thorung La Pass of 5400+ meter. 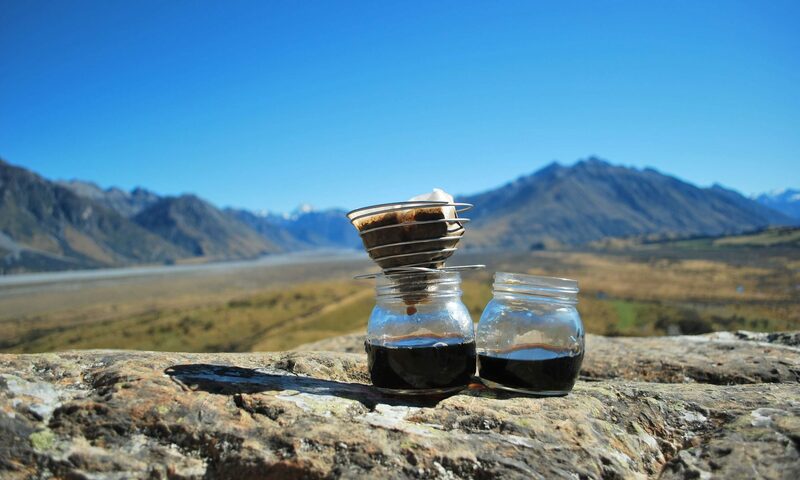 It is adventure and comfort in one: you don’t have to lug with your tent and cooking gear. The Annapurna circuit side tracks are in one word amazing. It is a challenging physical activity but people from all levels of fitness can do it (of course there is a lower limit). 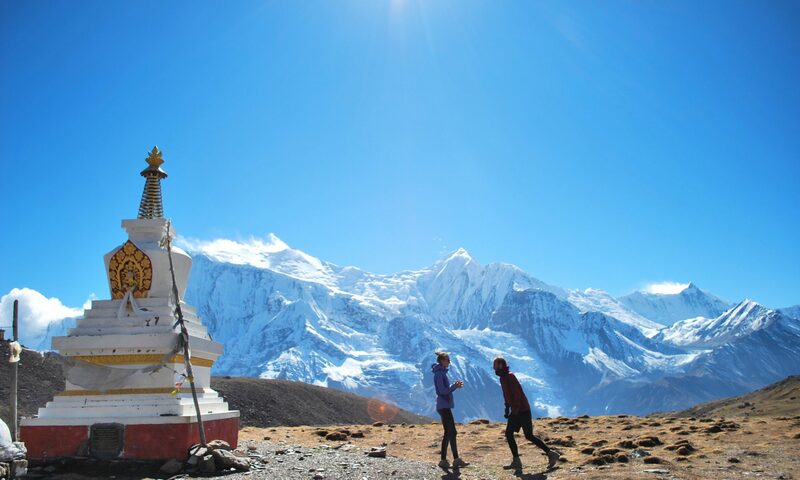 We see and do so amazing things while travelling the world, but hiking the Annapurna Circuit is certainly one of the most memorable experiences. A very big advantage of the Annapurna Circuit we didn’t mention in the introduction above, is that it is very easy to do the Annapurna trek without a guide. The trekking is well marked. There are other hikers around who you can ask for advice or to find company. Your map will guide you. Your reliable buddy your map will tell you where you can sleep, how many hours a certain part of the track takes, and how you can split the Annapurna Circuit in several day hikes. Of course, a guide is the entrance for being close to local life, he can translate, and tell you interesting stories about the nature and country. But it is a bonus. And be careful with selecting a guide. Quite a few hikers we met on the Annapurna Circuit road were not very satisfied with their guide. Make sure he is knowledgeable and precise before you close the deal. Something else to consider is, that by hiring a guide, you will stimulate the Nepalese economy. Which is so desperately needed. You can also consider hiring a porter to carry your luggage. For sure you need good hiking boots. You can wear the low and light ones but don’t try to do the Annapurna Circuit on your sneakers. At least two pair of good socks. 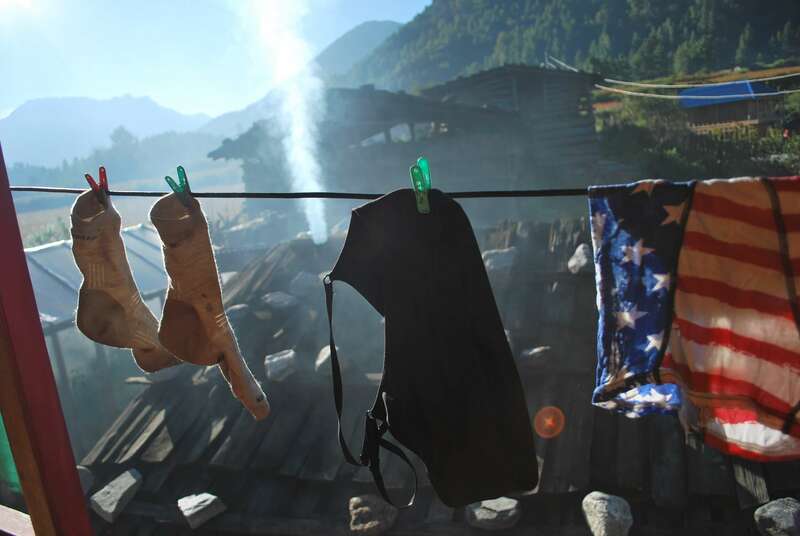 I managed the Annapurna trek with only one pair of socks but you will like the comfort of a good smell in the morning. More important even, good socks (or wearing two pairs on top of each other) are the key for not being bothered by blisters. I am in love with my Icebreaker socks. What is more; all of the Icebreaker products since they are made of Merino sheep wool. A sleeping bag is optional. Most of the travelers we met on the way carried a sleeping bag with them. It is convenient, hygienic and warm (because the nights will get cold up there!). But it is not necessary if you don’t like to bring one. We did the Annapurna Circuit without a sleeping bag and were fine. We asked for tons of blankets at the accommodations where we stayed. Only in the basecamp before the Thorung La pass the amount of blankets was limited to 1 per person. After looking sweet (and desperate) we got more. So, every accommodation along the Annapurna Circuit will provide you with at least a few blankets. Since the blankets don’t get washed very often (understatement), bringing a thin liner or cotton sleeping bag would be nice. Trousers to wear at night. We didn’t bring them, but we missed them. It is so comfy to be able to swap your day hiking pants for clean comfy pants in the evening after a exhausting day of hiking. It could be a good idea to buy long merino wool under paints. You can wear them at dinner and they will keep you warm at night in your bed. for men: zip paints or a combo of long underwear and a shorts on top are perfect when you are a bit cold. For women: I found that leggings are the perfect long pants to wear! They are light in your bag, and not unimportant, they make you look a little bit more charming than zip paints. And of course the hiking boots and socks as mentioned before. Optional: hiking poles. We hiked the track perfectly without them. But they give you some extra comfort. Altitude sickness pills. A good option is to buy them in Menang. That’s just two days before the pass. Sunscreen is essential. Sun glasses are very sweet for your eyes as well. A sun hat / cap. Rain poncho. Just in case. We also wrote The Annapurna Circuit Trek extra packinglist for you. 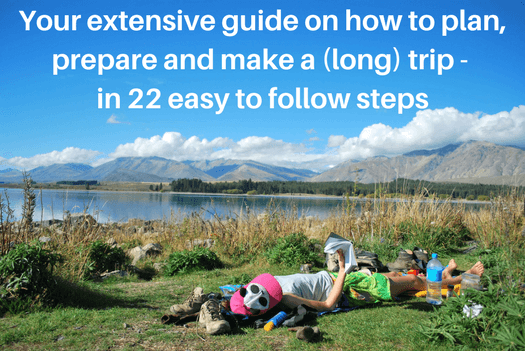 This blog reveals our best packing tips for the Annapurna Circuit Trek. It is essential for your hiking pleasure to wear a high quality backpack that suits you well. Don’t try to save money on your backpack, but invest in a good one and you will be grateful for your decision for many years to come. One kilo more or less after 14 days of hiking or at 4000 meter altitude? I promise you you will feel the difference. Skip as many kilos as you can! Don’t bring too many spare clothes. Just do a quick hand wash every now and then. Be prepared to get a little dirty. You are active in the wild nature! 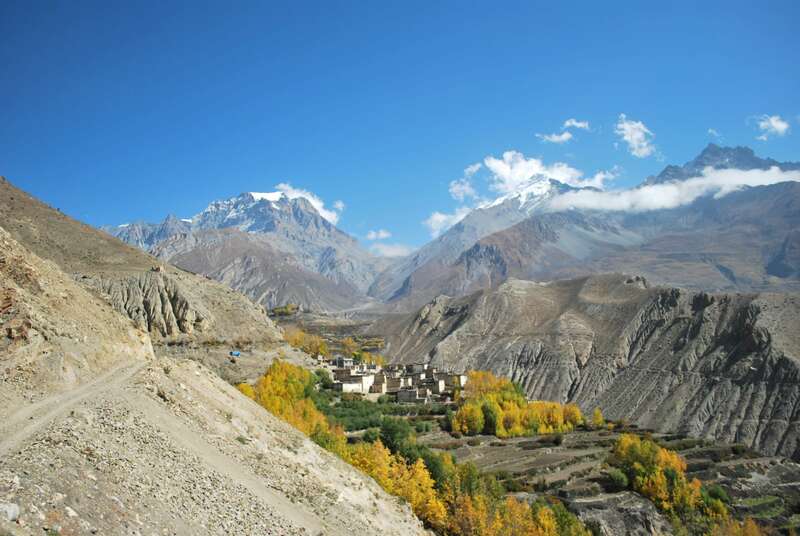 Before you start your Annapurna Circuit be aware of the concept of Altitude sickness. The phenomena can be a severe threat for your health starting more or less upward of 3000 meters altitude. It doesn’t have anything to do with experience. The best prevention is taking time to acclimatize and not to gain altitude too quick. A few general rules to follow up on are the following. Sleep lower than the highest point where your day hike brought you. Above 3000 meter altitude, don’t gain more than 300 – 500 meter in altitude per day (based on the altitude of your bed). You can take altitude sickness pills as a precaution (for example, start taking them 2 days before you will cross the pass). Take a rest day (sleeping at the same altitude for two nights in a row) around Menang. Make sure you take the phenomena very seriously. 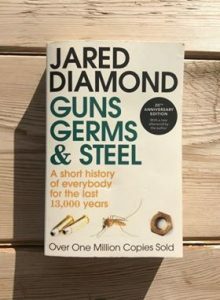 People died because of this sickness. And don’t be too worried at the same time: when you take these basic rules into account and listen to your body carefully, you will be fine. Listening to your body means not gaining more altitude when you have complaints like a headache. When you are really sick you will have to go down immediately. Even when it is in the middle of the night! (Bring a guide with you then). Of course we are not medical experts. Always win the advice of a medical expert. In Menang there is a doctor’s office. They can tell you everything about the sickness and taking medicine. They have a daily course to inform you about everything you should know about hiking on an altitude safely. You need to purchase two permits to be allowed to do the Annapurna trek. The first is the Annapurna national park fee. And secondly you need a TIMS card – a registration in the Trekking Information Management System – for your own safety. You can acquire both of them in either Kathmandu or Pokhara at the Tourist Service Centre for 2000 Nepalese Rupee per item (More or less $18,-). The Annapurna mountains are calling me. Annapurna map check. Registration done, check. What is true about “the road” “ruining” the Annapurna Circuit experience? There is a lot of gossip about “the road”, both online and offline. The Lonely Planet warns you for the road, there are maps for sale “to avoid the road”. Those people are talking about the fact that cars now are able to drive fairly a bit of the whole Annapurna Circuit. In the past you could only get to certain places by foot or horse. Don’t let you get put off by all these talks and warnings! A jeep will pass you every now and then. You will see a little bit of construction at some point. But the track is still totally worth it and it is a peaceful experience. And an advantage of the road: food is cheaper, and when something might happen, you get back quicker to the habited world. We found the trekking before the pass is more beautiful and peaceful than after the Thorong La pass. We advice to destine the biggest part of your time at the Annapurna Circuit to the part before the pass, including the well-worthy sidetracks. There is plenty of accommodation along the Annapurna Circuit. You never have to walk too far for the next bed. On average there is a bed every 1 / 1,5 hour. 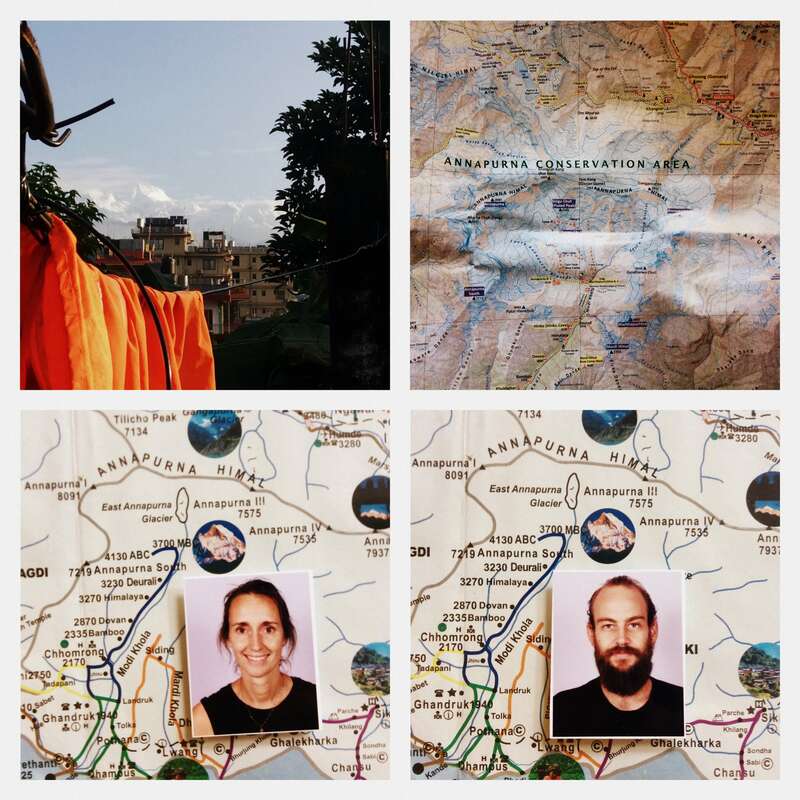 Information about the availability of accommodation is in the Annapurna Circuit map you are carrying with you. It is not expensive at all to hike the circuit. At many guesthouses they will let you stay for free if you promise to have dinner and breakfast at their place. Our little tradition was to say: “fifty, fifty” and pointing to the both of us. Which means: we pay 50 Nepalese rupee per person (USD 0,45) and eat our meals here. We did the Annapurna Circuit on a budget of $25,- US per day for two persons, including everything. Not including our flights into Nepal btw. So for $12,50 per day you will do the most amazing hike you ever did! Have fun. With this blog we aim to provide you with all the basic information you need to have a pleasant experience trekking the Annapurna Circuit. But still many questions remain unanswered. Are you for example wondering whether you are capable of doing this hike with your fear of heights? Or do you want to know how well trained you need to be? Get to know the answer to these questions about the Annapurna Circuit, and more questions, in our blog Frequently Asked Questions about the Annapurna Circuit. 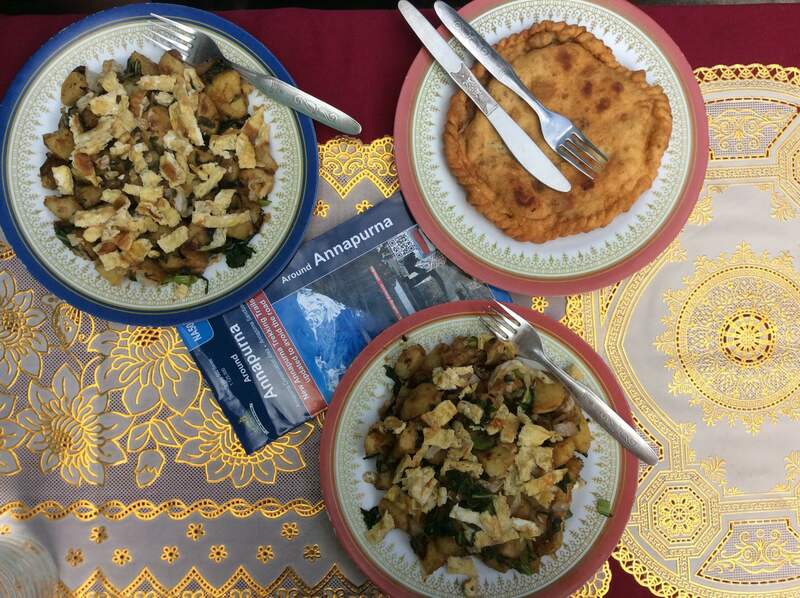 Don’t forget to read The Annapurna Circuit Trek extra packinglist. This blog reveals our best packing tips for the Annapurna Circuit Trek and helps you to be prepared and care free. Or if you like our writings? Subscribe for our monthly newsletter. And get our ebook with money saving tips for free. Thank you Marleen. The article helps for the trekkers who are preparing for Annapurna circuit.